This is how they role in Nashville on July 4th. Is the 4th a big deal or something? Ha. Love this photo. 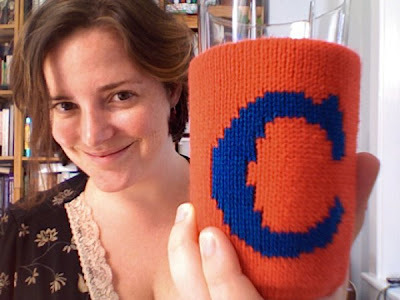 Mental note : make a bigger Drink Toque for the 'Tall Boy' in all of us. 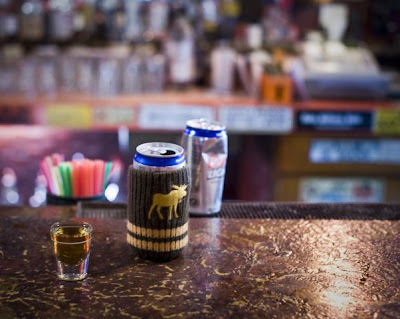 The Drink Toque, helps you slay Coors Lights and 2.5 ounce shots in an Alaskan bar . 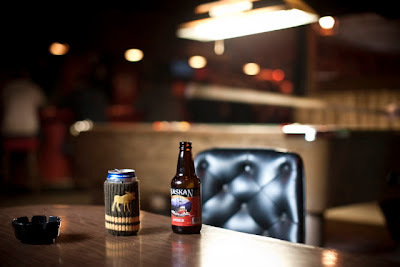 . . wait, wait, wait, they drink LIGHT beer in Alaska??? So, Hollis, uh..., are you going outside at all? Like, Alaska is a big place. The Drink Toque in Japan. This man is serious about fishing. Serious about his drinks. 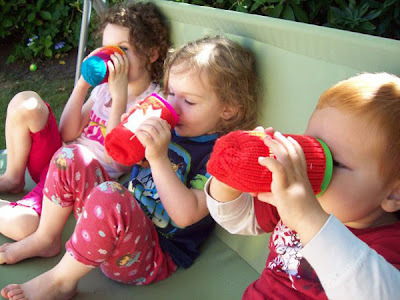 And, serious about his Drink Toques. 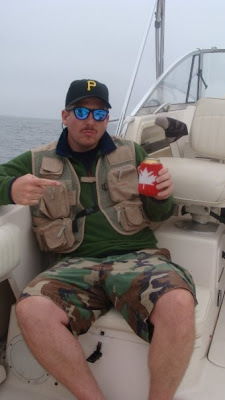 Camo shorts so no fish can see him. Can take down a 36 pounder in a single cast. A superhero to many, he gets it done. If it's going to happen, it's going to happen out there. Ben and his B. Making the best on the upper deck of a long, but sunny, ferry ride. Nice work Ben! Jeff, Wednesday Night Soccer (we play that in Canada? 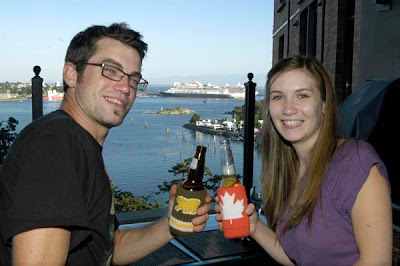 ), Drink Toques, and Friends = Good Times and Champions. P.S. Legends of Soccer, can't wait for the afterparty! Home Alone and enjoying the Weekend. Chelsea from http://www.sleepysheep.ca/ knows what's up! 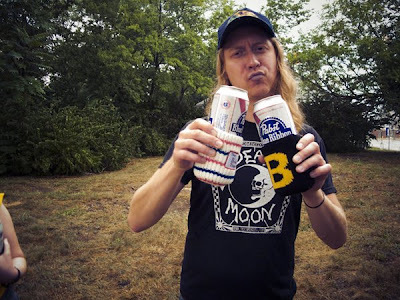 Backyard BBQs and horseshoe games, where the Drink Toques roam. Moose Attack, keeping it real. Pass the chips. 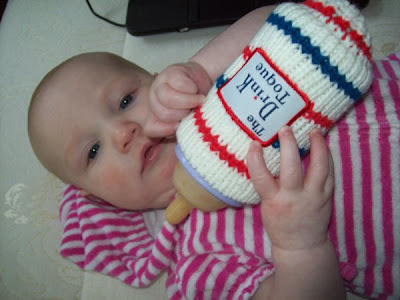 It's official, babies love their Drink Toques. Coolest baby on the planet? Pink stripe jumper, accessorized with a baby bottle/Drink Toque combo ... so hot right now! Who let the Toques out? 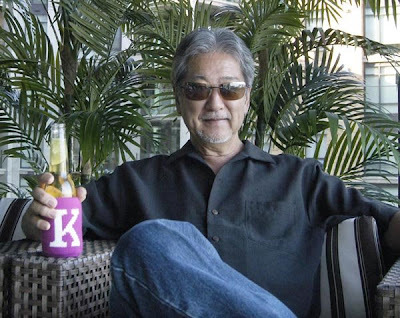 Ken did! Zak and Jill keep their chill with a Drink Toque here and a Drink Toque there, and a Drink Toque everywhere. Ronald likes horseshoe party's. We like Ronald. 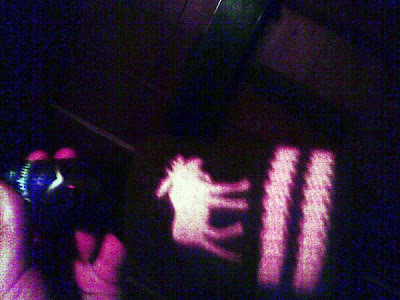 A fuzzy photo from Ronald's fuzzy Saturday night. This isn't the best photo you will ever see, but in context, it's hilarious, and the effort deserves a posting. I call this one 'the Struggle'. Jocelyn's eyes and mind tell her she should eat, but clearly the Drink Toque/Rainier combo is winning this race to her mouth! The Drink Toque... we win races. "It's a tradition, hang your favourite Drink Toque, and a treat appears" (Holiday haiku!). 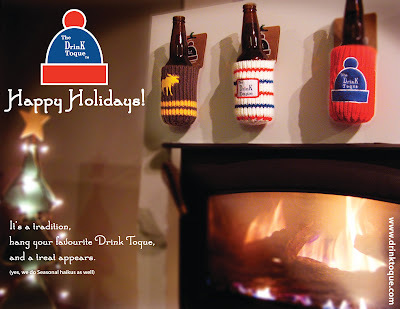 Happy Holidays from The Drink Toque! 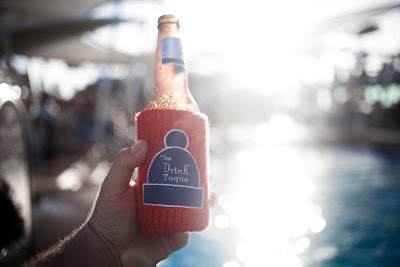 toques have worked for centuries keeping our heads warm, now they will keep our beers cold! I love it.